and communicate our thoughts with the right perspective. However, perfect communication is not always possible in this age of transportation. This hard task of communication is done through various means and modes. We have developed communication networks to an extent where connectivity remains the core of relations. Personal or Business, we are accountable to both the domains. A letter is 'Conversation that happens by post', it happens because we intend to stay connected. With the development of organisational communication, letter writing has travelled a long path. Personal and Business Letters are discussed at length for their formats and styles of writing. Letters are divided into 'Formal and Informal' too. There are certain essentials to be kept in mind when we compose a letter. "Personal Letters are not composed, they are said." © It suggests that our focus in personal letters is on 'I Approach'. We write what we would have spoken to the person face-to-face. It is about relations, it is about belonging and that is what 'Persoanl Letters have Emotive Content'. There are no rules to be forced, only understanding-courtesy and decency is to be inserted into words. 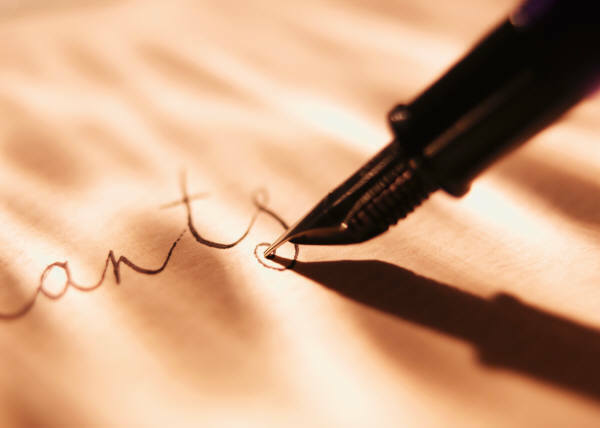 As the writer of the letter, we have to be with the receiver. It does not mean that we tend to be at the mercy of the reader; it is being considerate and courteous. Keep the reader first and remain to the point. A Right Opening is what we need the most. It is the opening of the content in the body of the letter followed by 'logical conclusions'. The closing of the content (Body of the Letter) should be informative should state the 'Action Required'. The language should be neutral and must not be biased with respect to gender, social status or religions etc. Types: There is no need to have an argument between the formal-informal or personal-business letter types. We need to understand that it is not the defining term that makes them different; rather their functions and style of writing is what makes them different. Style of Writing or The Way You Treat/Deal with the Content decides Formal or Informal types. It pertains to a very basic understanding of the intention of the writer. Suppose you are informing your Manager at the office about a party you attended last night, you know it for sure that a 'friendy confession and declaration' will not be there in the content and in writing. We control the content and abide by the formalities. These 'formalities' can be organisational or are decided by us. On the other side, the celebration is shared with a close friend with openness and 'least concern' for the aforesaid formal limitations. We take relations for granted and assume that the reader will understand everything. However, in the 'formal' letter, we ensure that the reader is persuaded by our content management and courtesy. Work Domain/Area of Usage/Field/Space decides whether a letter is 'Personal' or 'Business'. It must be understood that there is a role of content also in categorising Personal and Business Letters. Personal Letters have 'Emotive Content' and are primarily meant for relations where we know the receiver and have all possibilities of talking in person at any time. On the other side, Business Letters convey an altogether meaning and working. It is BUSINESS! There is a Definite Purpose and the amount of emotional persuasion is almost nil. Business Letters 'appeal to the reader's interest and attempt to induce in him/her the willingness to take required/asked action. All these components remain LEFT Aligned in the Block Format/Complete Block Style. Problem Statement-Reason-Opening lines that answer the question "Why this Letter has been Written?" Action Required (After pursuing the reader to accept the proposal, the letter must inform about the 'Action Required' to be taken by the 'targetted receiver'. Complimentary Close (Sincerely yours, Yours faithfully etc.- Remember that only the first letter is in capitals, rest remain small. Enclosures (Encl.) are mentioned so that the receiver known what other document/s are coming along with the letter. For example, if you send your Resume for a job with the application/covering letter, 'Resume' is to be mentioned under this heading in the letter. Copy to: (CC or Copies) If the sender is sending copies to others also, the recipients must be mentioned in this section. It is 'FYI' for the mentioned recipients and they usually do not take direct action. It is used to keep the associated offices in communication loop or to reinforce the purpose of the letter. Note: Sender's Address is known as Return Address: If the paper you are using to write has an organisational letterhead, skip this. Otherwise, type your name, office address and optionally, phone number, e-mail id.